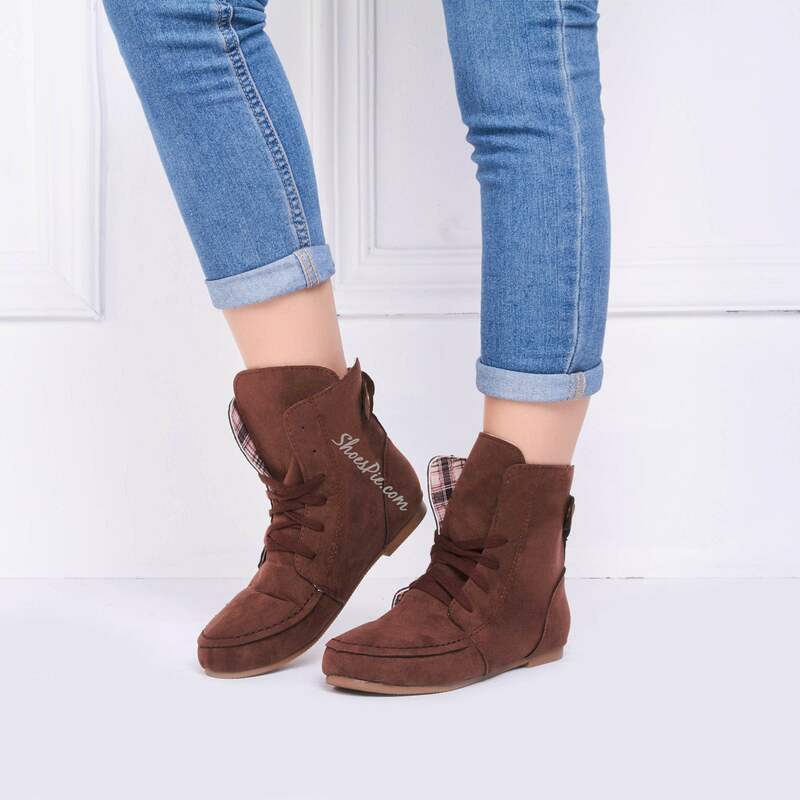 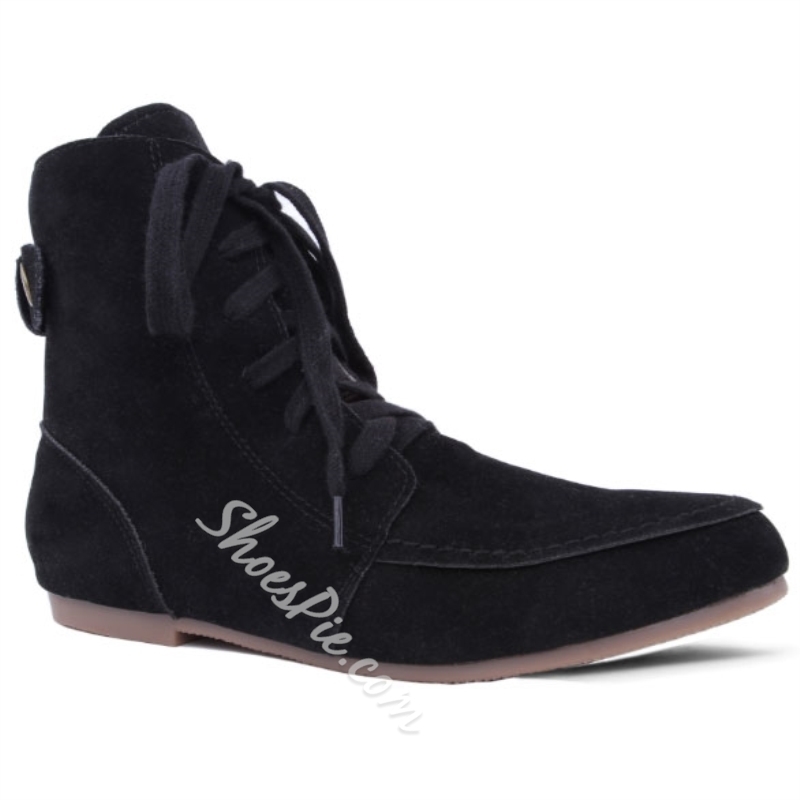 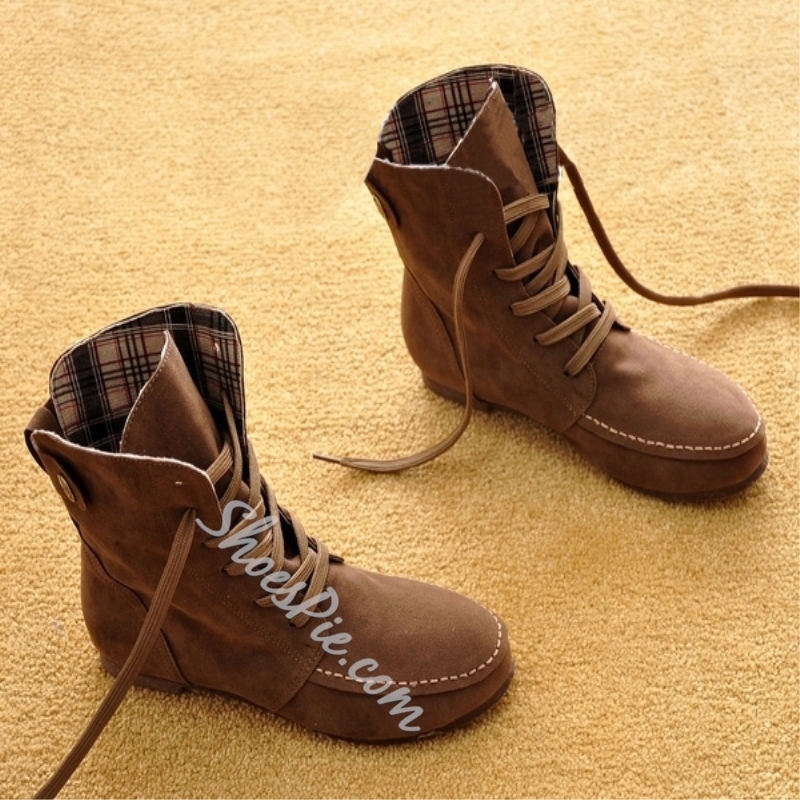 Designed with flat heel and lace-up, this pair of ankle boots is chic and comfortable for your daily wear. 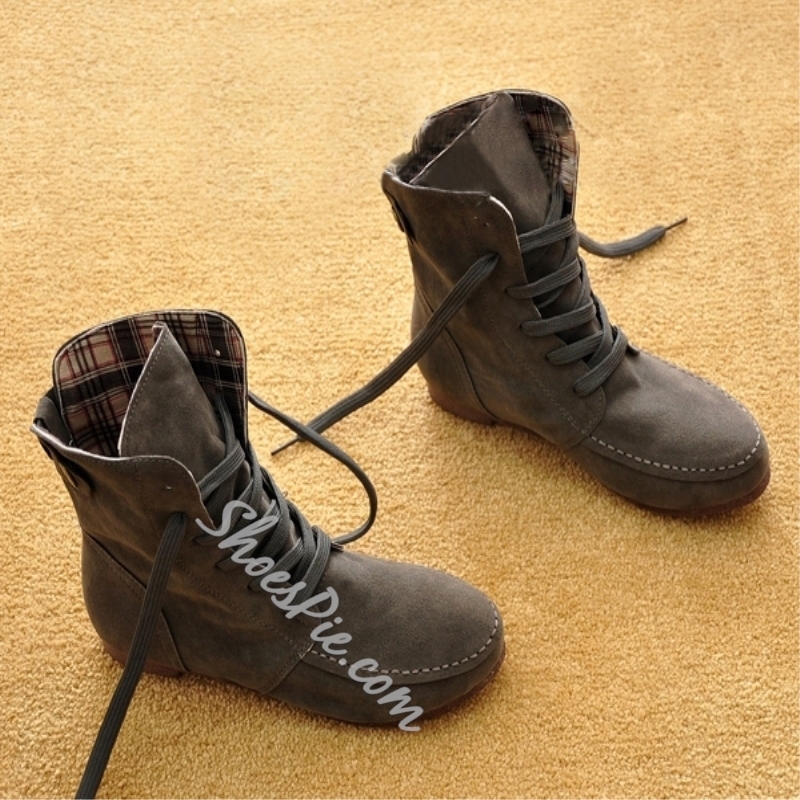 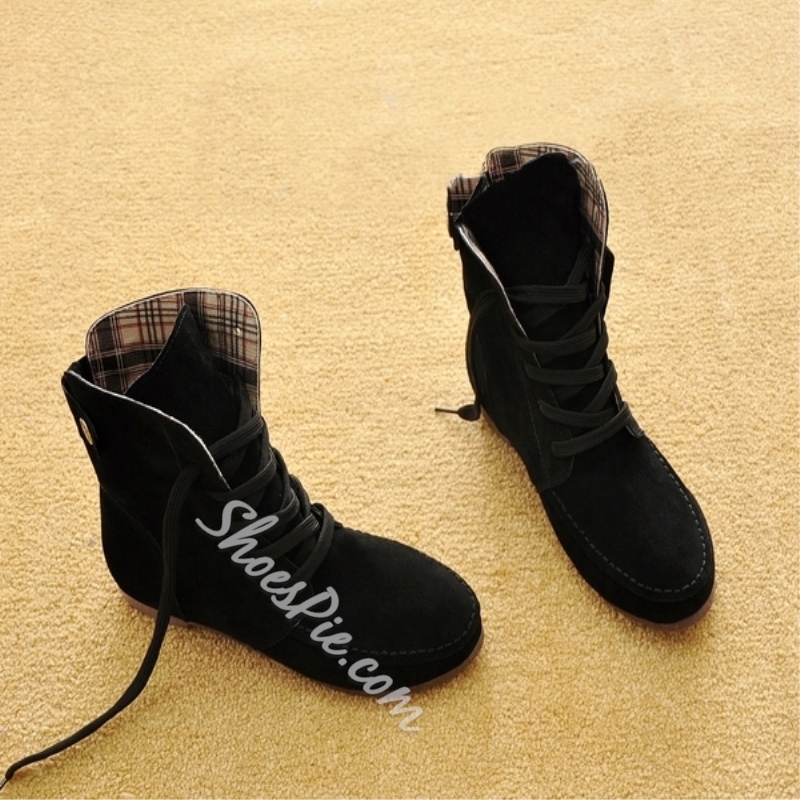 Made of suede upper, they can ensure comfort and breathability. 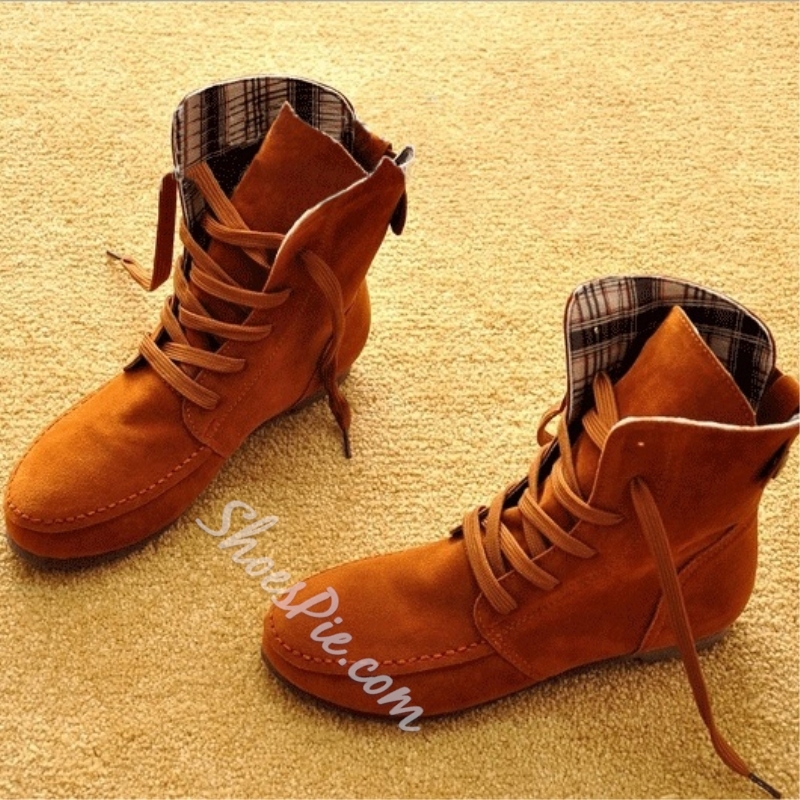 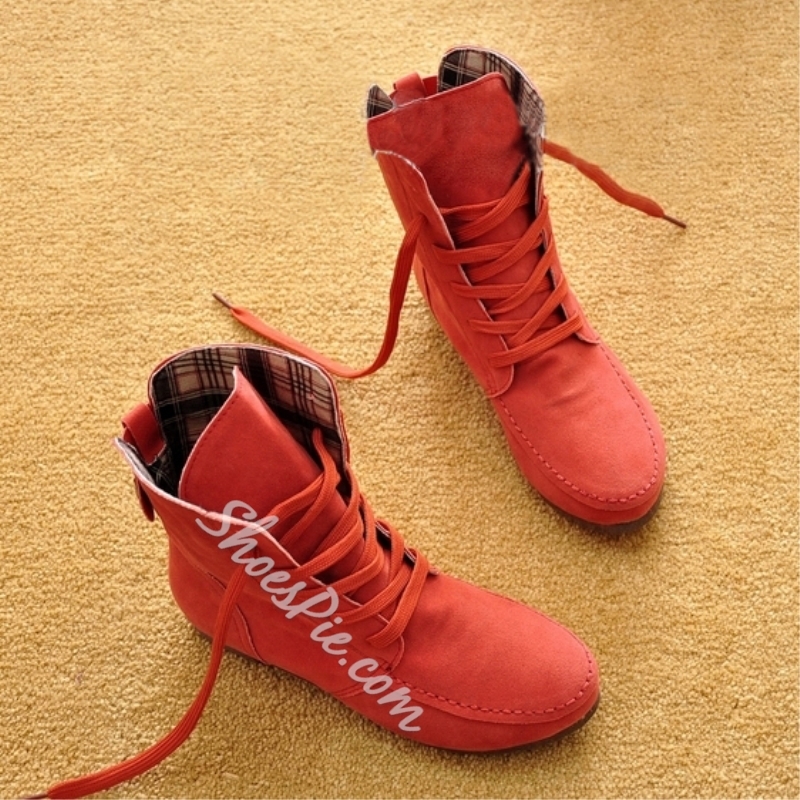 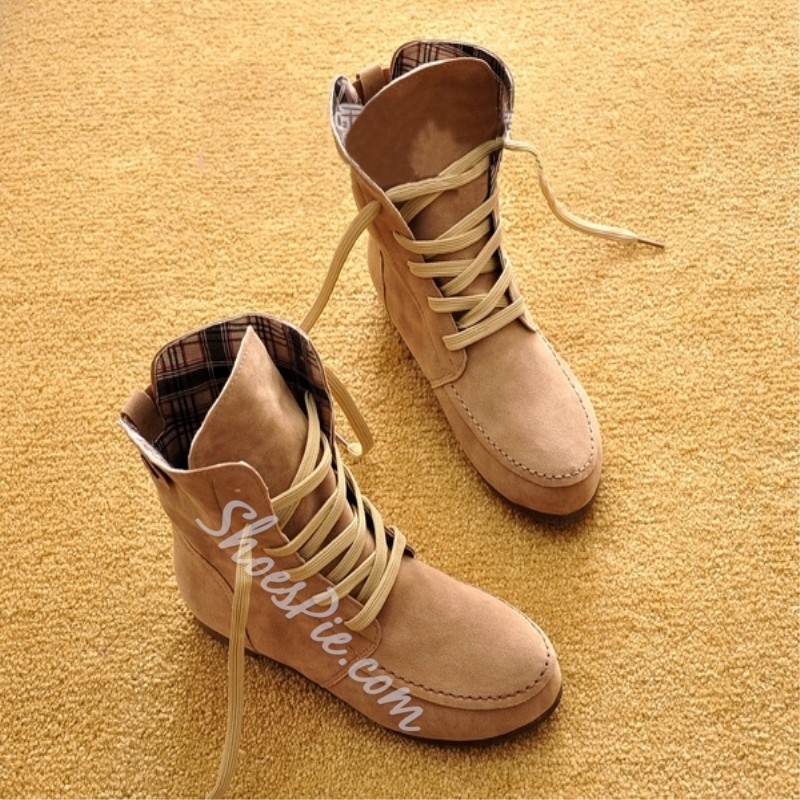 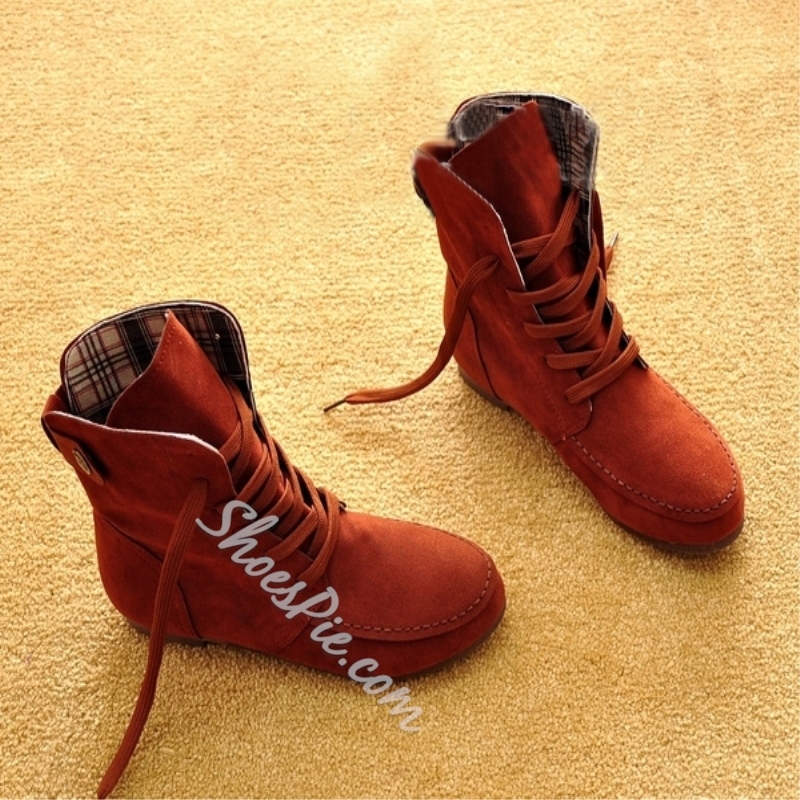 Eight different colors for the ankle boots lovers to choose from: brick red, beige, black, camel. 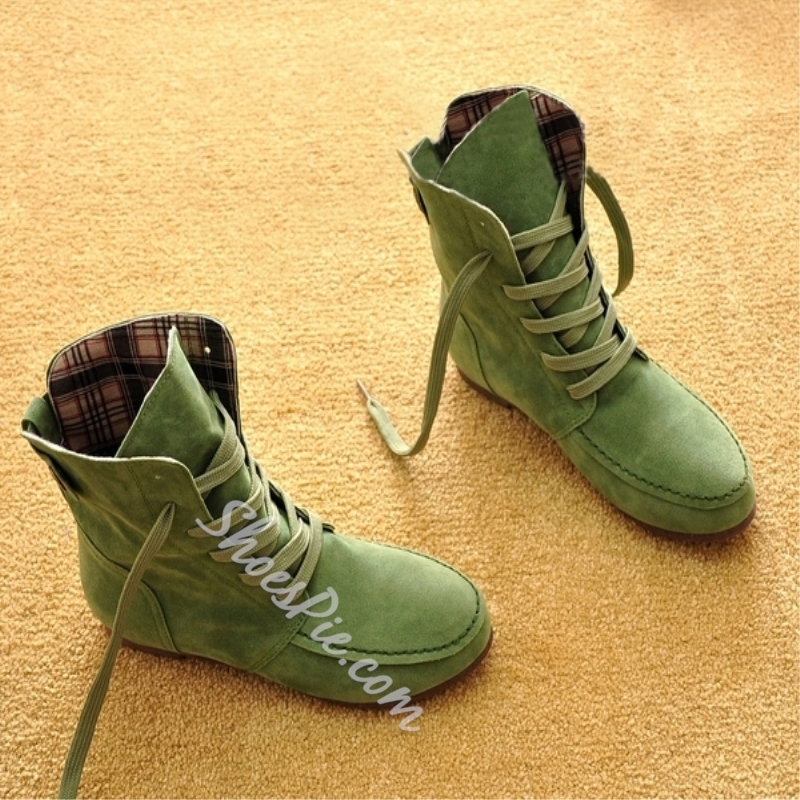 brown, green, gray and red. 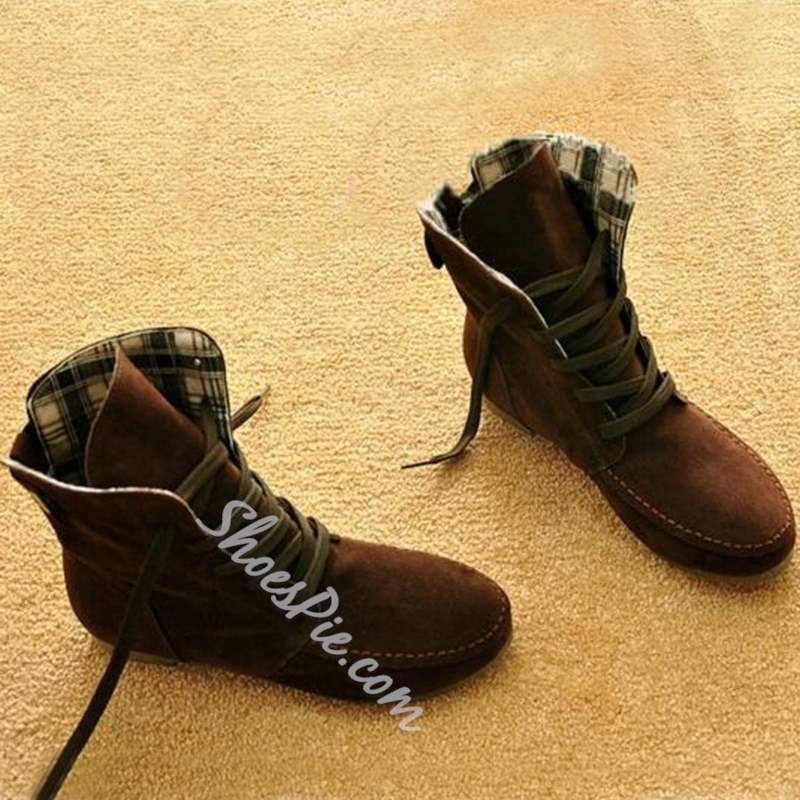 Wear yours with any color of pants.